Buy lowest price Montana Woodworks Montana Pedestal Table (mwk-MWPT). This awesome Dining Tables will suit your dining rooms. Buy and save your Montana Woodworks Montana Pedestal Table (mwk-MWPT) today. Montana octagonal top pedestal dining table is available in optional finishes. 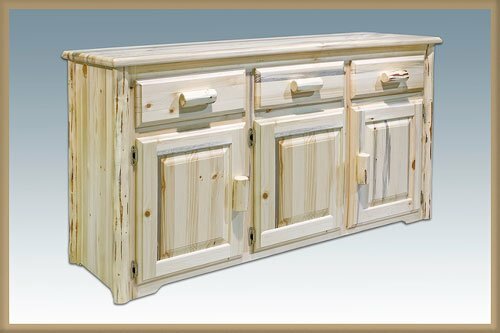 20 years limited warranty Made from hand peeled lodgepole pine Made in USA Minimal assembly required 45 in. Dia. x 30 in. H Bring the old time elegance of log furniture into your dining room. Complete your dining set with the Montana Woodworks log dining/side chairs and captains chairs for a one of a kind look that signifies your love for the rustic lifestyle.